The Safety Zone is proud to introduce our new branding initiative. This effort began with a refresh of our logo, which has been largely untouched since it was first introduced thirty years ago. The Safety Zone’s new look is immediately familiar, yet modernized to reflect the high quality of our products and dedication to our customers. You will start seeing the second phase of our branding initiative with new tri-lingual packaging across our vinyl, nitrile, latex, and polyethylene (PE) disposable gloves. The gloves inside are the same high quality products as before. 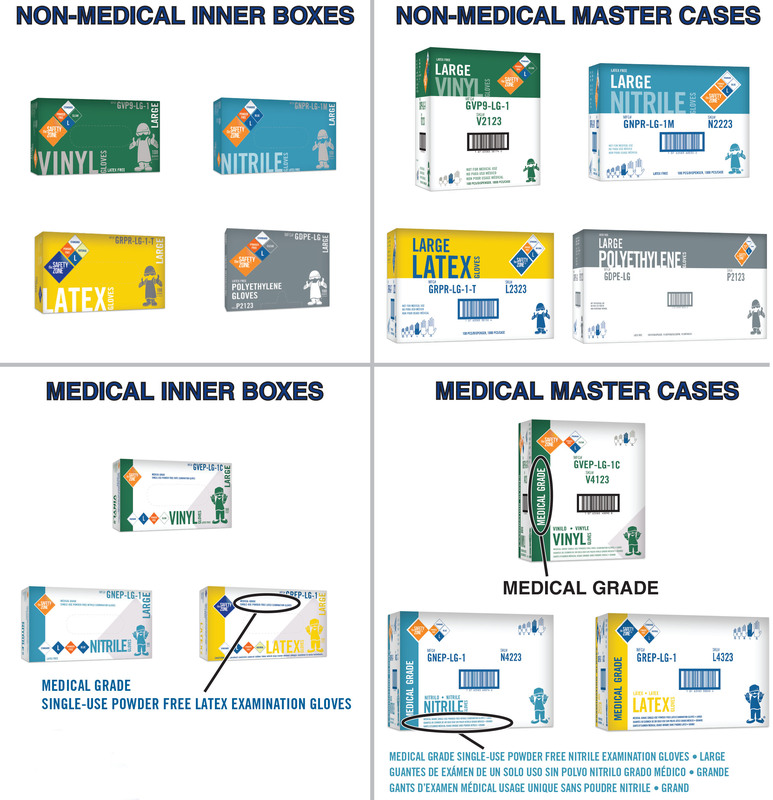 As we listened to customer recommendations to visually improve product design and labeling, we heard frustration that our packaging lacked concise and clear descriptions of the enclosed products. Adding to the challenge is just how diverse these product lines have become, with many different colors, thicknesses, and material formulations within each of our product lines. Customers also wanted a clear understanding of “good, better and best” in terms of our product offerings. 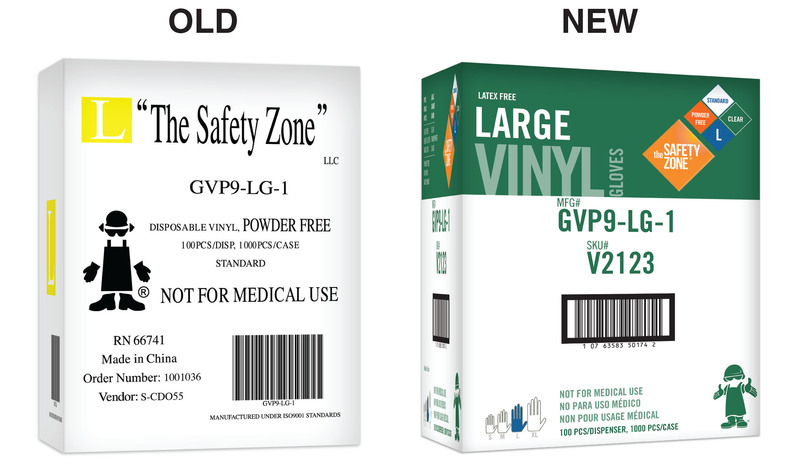 The Safety Zone’s new packaging addresses these issues with a new consistent design with large and clear descriptions. 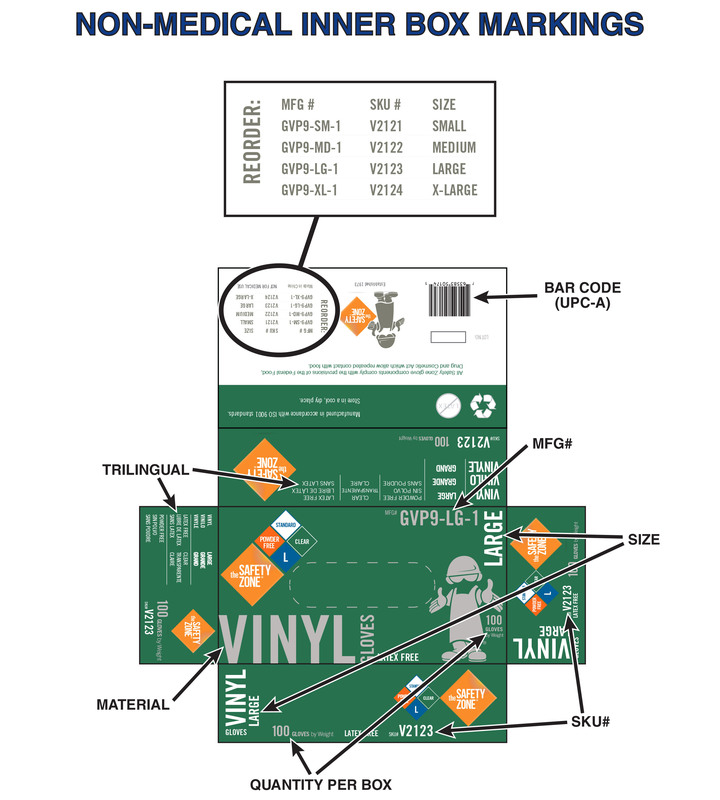 As the glove business grows increasingly complex, we believe this new packaging strategy will better inform customers and end users of each product’s specific attributes. You may download a printable version of this notice in PDF format here. Each main product type (vinyl, nitrile, latex, polyethylene) will have its own distinct color to differentiate the materials. Outer cases will feature this color on a printed band on the box that wraps around the case. Expect to see this new packaging very soon. 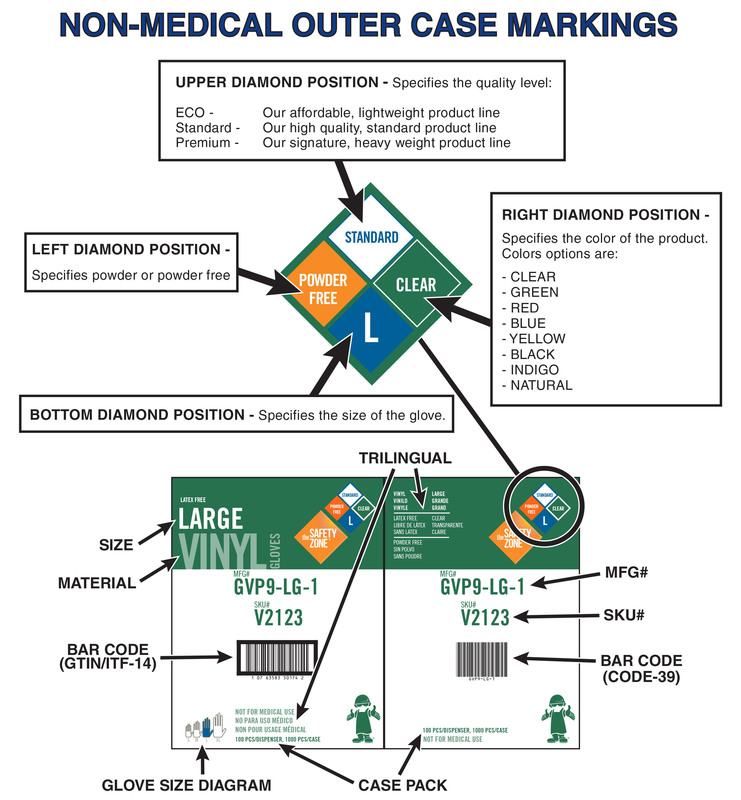 Your Safety Zone sales representative will be available to answer any questions you may have as we begin this product packaging transition. Please do not hesitate to give us a call should you need any additional assistance at 800-821-5702.